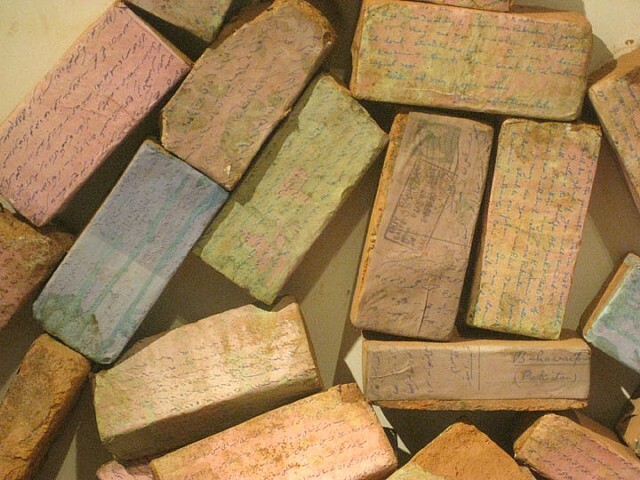 Found bricks with copies of letters written by my great Grandfather glued around each brick, found cinder blocks, rubble, and sand from India. The letters were written in the early 1950s, my great grandfather was living in India and he was writing to his son who then living in Pakistan. This work is about migration and how this leads to a loss of the foundation of which one identifies themselves.